New content is available on the European PlayStation Store this week, with nineteen new PS4 games added, and one new PS Vita game. New games this week include LocoRoco Remastered, Resident Evil Code: Veronica X and VR Karts. New content is available on the European PlayStation Store this week, with a massive 18 new PS4 games and bundles available to download, and a couple of new PS Vita games. New Vita games include Axiom Verge and Aegis Of Earth: Protonovus Assault. The European PlayStation Store update is a little light this week, that it does include six new PS4 game releases and two PS Vita ones. This week's PS Vita games include Risk of Rain and Skullgirls 2nd Encore. The European PlayStation Store has been updated with new content, including 19 new PS4 games, two new PS3 games and four new PS Vita games. New games on the PS Vita include Dreii, Samurai Warriors 4, and Croixleur Sigma. 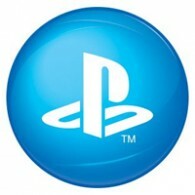 Sony has announced that the native PlayStation Store, available on the PSP, will be closing at the end of this month. However, owners of Sony’s first portable console will still be able to purchase games and access their library from the web-based PlayStation Store. Users will also still have the ability to make in-game purchases from their PSP system. New content is available on the US PlayStation Store with a massive 13 new PS4 games, four new PS3 games and five new PS Vita games added. New games include the first episode of Minecraft: Story Mode (PS4, PS3), Back to the Future: The Game (PS4) and Farming Simulator 16 (PS Vita). New content is available on the European PlayStation Store this week, with 12 new PS4 games, two new PS3 games and one new PS Vita game. New games include Wasteland 2: Directors Cut, Back to the Future: The Game – 30th Anniversary Edition and the first episode of Minecraft: Story Mode. 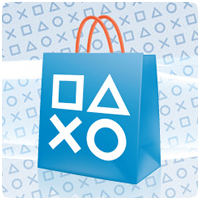 Following suit with Europe, SCEA have released the PlayStation Store download chart for September 2015, showing the top downloaded games and content for all PlayStation platforms. The top three PS4 games for September are exactly the same as Europe, with Destiny: The Taken King beating MGSV and FIFA 16. 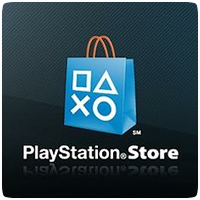 September 2015 saw many new big games released on the PS4 and PS3, so last month's top selling PlayStation Store chart comes as no surprise. On the PS4 and PS3, Destiny: The Taken King was the top selling title according to SCEE, followed by FIFA 16 in second on both consoles.